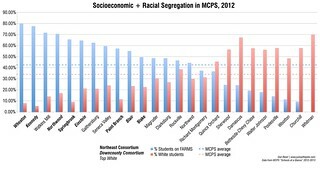 - Lydia at Snoburbia writes about how affluent families in MoCo refuse to shop at Wheaton Plaza due to fears of crime. "Even with its Macy's, Hollister, American Eagle, PacSun, DSW, and other snoburb-friendly fare . . . Wheaton Plaza is ten minutes away, has great stores, and has a better selection of sale merchandise than Montgomery Mall (Bethesda) or Tyson's Corner (McLean), the malls of choice for Montgomery County snoburban teens." - The Post makes a visit to Long Branch, the neighborhood east of East Silver Spring best known (in my opinion) for pupusa trucks and the lovely but shuttered Flower Theatre. Says a proud 38-year resident: "We, like many of our neighbors, have opted not to move to Bethesda, or White Oak, or any of the other places where houses are bigger, because there's just such a spirit of community here." - Cavan Wilk at Greater Greater Washington speaks with Eddie Velasquez and tries to find out why DeJaBel Cafe in Wheaton abruptly closed two weeks ago. Cavan suggests that, not unlike the now-shuttered Mayorga Coffee Roasters in Downtown Silver Spring, DeJaBel was brought down by a lack of foot traffic in the neighborhood. - Tonight, Jews United for Justice hosts an "education forum" about the Purple Line and its potential effects on the Langley Park area. Cheryl Cort from the Coalition for Smarter Growth and Langley Park residents will be there to talk about the neighborhood today and in the future. The meeting starts at 6:45pm at the Silver Spring Library, 8901 Colesville Road. For more info and to RSVP, visit JUFJ's website. What a bunch of sissies - afraid to shop at Wheaton Plaza! I'm kidding. If I had the time I'd much rather drive to Montgomery Mall. It's nicer there. 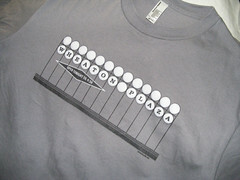 And I will admit that I always make a concerted effort not to get gunned down whenever I have to go to Wheaton Plaza. So far I've been lucky I guess. I haven't had any issues except with the stupidly laid out parking lot. Wheaton Plaza is ok during the daylight hours, but after sundown it becomes dicey. I have seen women, who while walking to their cars, become subjected to lewd comments. I have had my car side mirror broken twice. I do not set foot in Wheaton Plaza or any other part of the commercial area of Wheaton after sunset. Really? I've never had a problem at Wheaton Plaza. True, there are some shady characters roaming the halls, but I've never (knock on wood) been bothered by anyone. 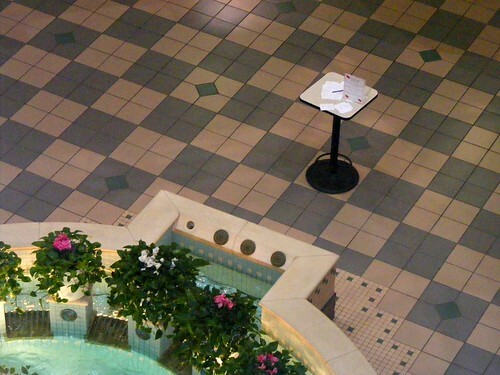 I just recently went to the Greenbelt Mall for the first time; now THAT'S a mall I'll avoid!